ROK: could Primal with. sig. ab. 15 stand Bonecrusher? 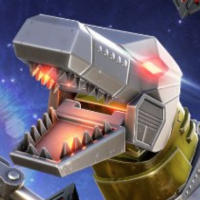 And what about Grimlock with. sig. ab. 20?